If you are a nature enthusiast, you do not want to miss your chance to witness the splendid beauty of this regions pristine islands, marvelous coastlines, wild back country flats, mangrove forests, and thriving coral reefs. You can see an amazing variety of indigenous plant and animal life that thrive in the areas in and around the Florida Keys. The Florida Keys main attraction is the extensive coral reef system just off shore of the islands. This reef system is the lone living coral reef in the continental United States as well as the only living coral reef on the Atlantic side of North America. As a result of the influx of warm water pulled from Equatorial waters by the Gulf Stream, the waters surrounding the Keys maintains a consistently warm temperature. This balmy and stable water temperature creates an ideal environment for the growth of living coral. Do not miss your chance to witness the unique beauty of this rare natural wonder by participating in one of our snorkeling or scuba diving excursions led by one of our naturalist guides. 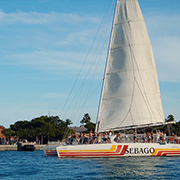 Because you are seeing the natural beauty of key west is why this it a top things to do. In addition to the flourishing coral reef environment teeming with an assortment of exotic marine species, the region is home to plenty of other natural attractions like the pristine wildlife sanctuary in the Marquesas Islands, the remote national preserve of the Dry Tortugas, or the saltwater marshes and mangrove mazes in the back country. This entire region is not only full of a remarkable array of marine species like sea turtles, dolphins, tropical fish, manta rays, pelagic fish species, crustaceans, and mollusks, it is also home to a remarkable amount of indigenous bird species as well as migratory birds that stopover in the Keys. Join our nature guides for a trip into saltwater flats and channels to witness a variety of the oceans toothy apex predators: the sharks. In addition to possibly seeing bull sharks, hammerheads, lemon sharks, nurse sharks, black tip reef sharks and occasionally tiger sharks, you can see plenty of other local wildlife species. 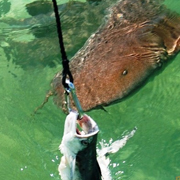 This fun-filled aquatic excursion is one of the most thrilling adventure tours offered in Key West, Florida. 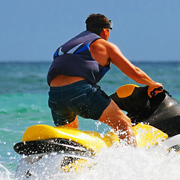 Not only will you enjoy the high-speed thrills as you zoom though the back country, but you can appreciate the unmatched beauty of this island paradise. 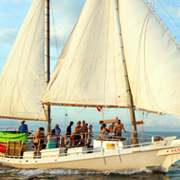 Sail the turquoise waters off Key West, Florida, aboard our skipjack sailing vessel, the Danger. Go snorkeling above some of the most beautiful coral reefs on the planet. 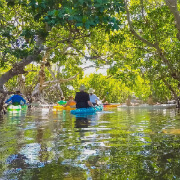 Explore the nature preserve of the Mangrove Islands on a guided sea kayaking excursion. 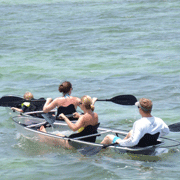 Explore the Key West back country like never before on our 100% crystal clear kayaks! Paddle your way through the stunning mangrove islands while catching glimpses of the wondrous world of the coral reef gardens beneath the waters' surface. 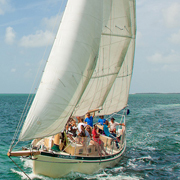 Enjoy a sailing excursion into the pristine back country from Key West on our sleek skipjack, the Dangers Prize. Not only will you be transported to the prime snorkeling locales in the region, you can explore the Mangrove Islands on a guided kayaking adventure. 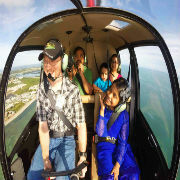 Explore the beautiful natural side of the lower Florida Keys with our especially designed Key West Eco Helicopter Tour! See the back country and keep your eyes peeled for the marine life that make these waters their home. This 20 minute tour is perfect for nature lovers! 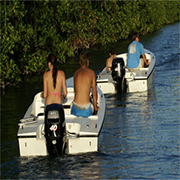 Join us for one of our two daily snorkel trips out to Florida's extensive coral reef ecosystem. Located just a few miles off the coast of Key West, this coral reef system is the country's largest coral reef ecosystem and it stretches from off the coast of Palm Beach County out to the famous islands of the Dry Tortugas. Key West is positioned perfectly in that it is close to many of the best areas of the system. We have dozens of different snorkel sites that we go to, and each morning the captain will decide which location will be best given that day's conditions.